PIECES OF A WEB SERIES. Stills from the web series Fragments – a project conceived by Eau Claire native Ben Kreibich. Kreibich (left) says the series is about 95% autobiographical. 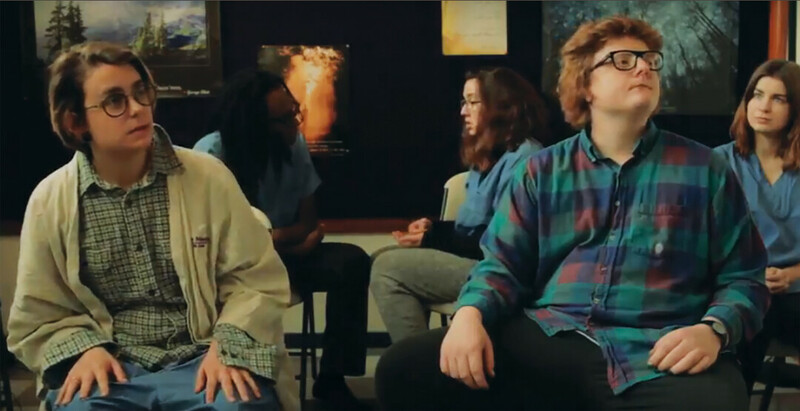 This bit of dialogue pops up at the end of the third episode of Fragments, a new web series conceived by Eau Claire native Ben Kreibich, and it rather perfectly sums up two of the biggest themes present in the ambitious independently-made series: the power of friendship and perseverance. 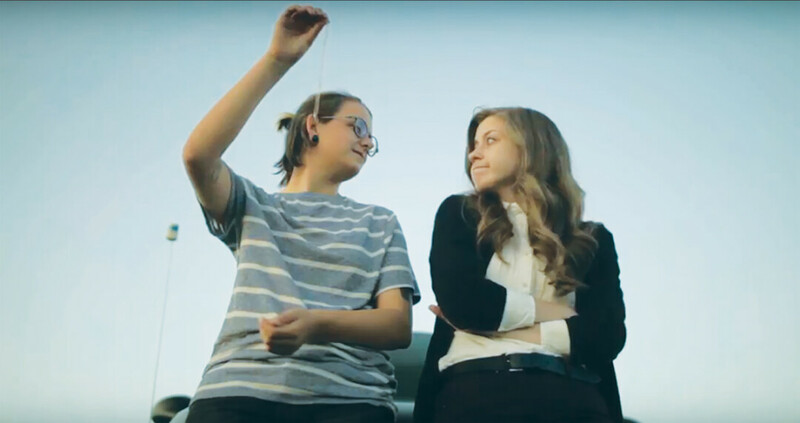 Ben Beckley (Kreibich), a schizophrenic, and her friend Alex Aldin (Alex Raney), a recovering pill addict, are sharing a moment both fresh out of treatment and therapy. The unlikely duo bond over their shared desire to feel normal, lead normal lives, and to someday do amazing things. It’s never gonna be quite normal though – they both know that – but what can you do but trudge forward anyway? Fragments is based on Kreibich’s life – she said it’s about 95% autobiographical – with dashes of realness everywhere, from the people she met in treatment to real friends and romances to the realities of living with a mental illness. What started as one script for one episode soon turned into seven ten-minute episodes with the help of director/producer Mack Hastings who put together a small team of friends and collaborators to start filming last April. Pretty soon there was a whole crew at work on this thing just because they wanted to make something cool. 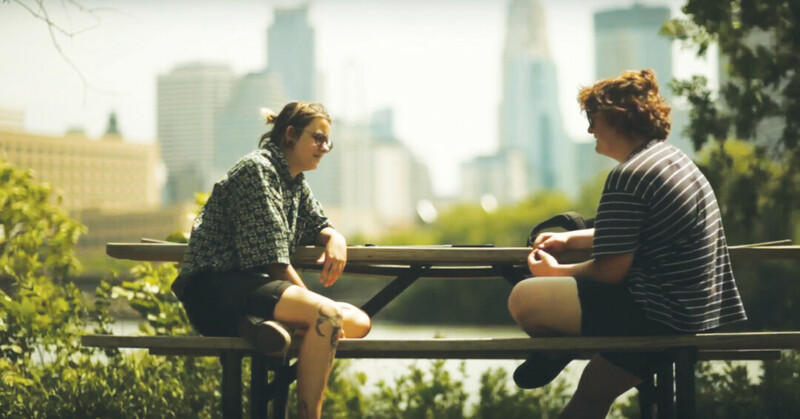 With a budget of $0 and this being a passion project more than anything, it took a total of seven days spread out over the course of six months to align everyone’s schedules and film the whole series. Some shooting days were filled with laughter, some were more stressful, and one day it was 100 degrees with an issued heat advisory and everyone could’ve gotten heat stroke. But friends will persevere. Fragments is charming and super real in some moments, goofy and funny in others, yet remarkably poignant sometimes too. Both the show’s anxious moments and the cathartic ones are underlined with a glitchy, noisy electronic score by local musician and guitar pedalmaker Ben Hinz. The bubbling synths and throbbing noise makes everything a little more unsettling and works seamlessly to weave together the confusion and uncertainty of navigating the world post-psychiatric treatment, even when things are good. More than anything Fragments succeeds in keeping it real. It doesn’t define its characters by their illnesses and flaws; the story is about the people, their lives, their thrills and worries. The hospitals and medications and instability are just a backdrop to what’s really going on: lost souls trying to forge ahead, chase their dreams, and become who they truly can be. Fragments is a first for almost everyone involved. It’s Kreibich’s first time acting, Hastings’ first time directing, and it feels like they stumbled into a dedicated crew of people that love doing this. So the plan is to keep going. It’ll probably be a while before more Fragments episodes drop, but the team is tossing around tons of new ideas, and they want to keep working together in whatever shape that takes. After all, with good friends and a little perseverance, anything can happen. Fragments is screening all seven episodes at the Downtown Cinema in Eau Claire on Jan. 27 at 8pm featuring a Q&A with the cast and crew, and it’ll screen again for a matinee on Jan. 28 at 3pm. To order tickets, go to miconcinemas.com. To learn more about the series, check out their Facebook page at www.facebook.com/fragmentswebshow.